On switching focus to the realm field, a list of valid realms configured for GridSoftToken will be displayed. If there is only one realm setup for GridSoftToken, the value will be automatically populated. The GridSoftToken Settings screen is displayed. Note the serial number displayed on the screen. It will be used to register this device to the user's account. To display the grid, click on the Done button. The screen will flip over and display a grid. 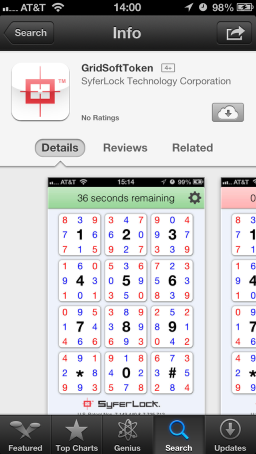 Any subsequent launch of the application will by default, display the grid. 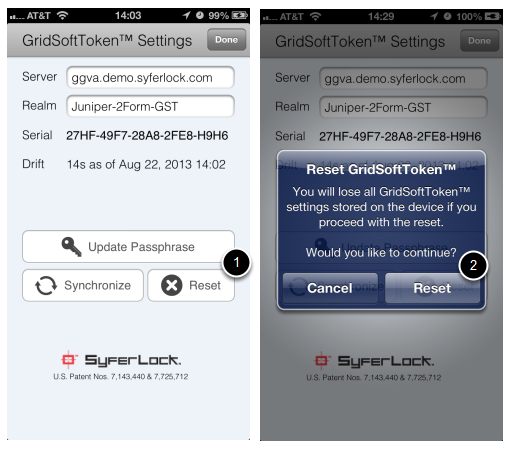 Periodically, it might be required to synchronize the device with the GridGuard server, if either the server clock or the device clock goes out of synch. 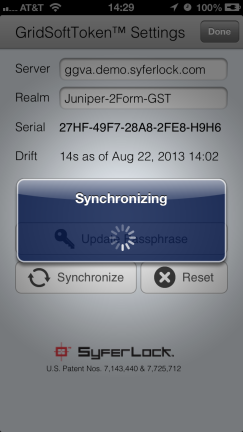 To synchronize the device, click on the Synchronize button. 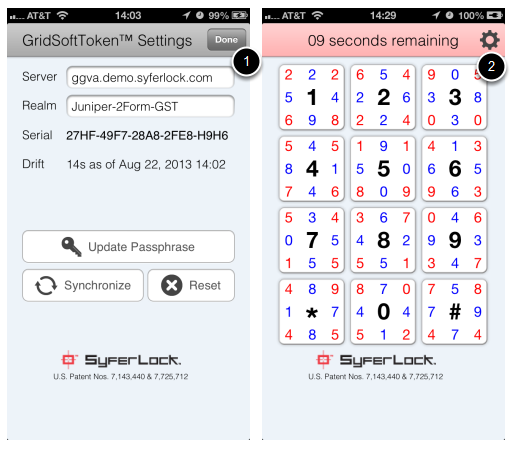 The app will automatically contact the server and synchronize clocks. Note: Clock synchronization does not involve changing the clock time on either the server or the client. It is purely a caliberation check that determines the offset so that the app is aware of the difference. Resetting the device will remove all locally cached settings. It will not delete the app, itself.